We’ve never done anything like this before, so it’s exciting, said Carolyn Nickel, a Chilliwack farmer. Ravi Bathe and Chris Kloot, playing Chicken Squad agents, uncover a sinister plot to pump hormones and steroids into the industry via the black market, and they spring into action to protect the chickens. 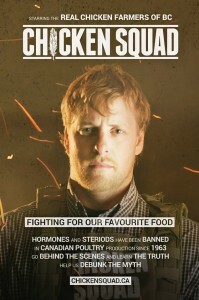 A heart-pounding plot might not be necessary to teach consumers about this arm of the agricultural industry, but caring hearts definitely are and that is what the farmers bring to this campaign—heart, and a desire to spread the word that BC chicken is a healthy, pure, food source. You might wonder if this movie trailer is close to the truth. Is there an elite enforcement agency out there dedicated to upholding strict standards and government guidelines? The answer is that there are several organizations and agencies watching over everything from the food that the chickens eat to the conditions of the growing environment. 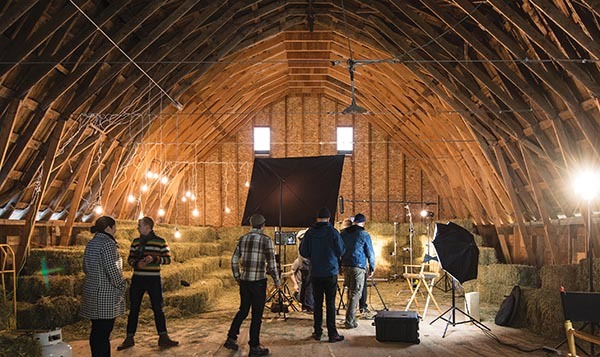 Poultry barns are high-tech operations with computers to maintain temperature, lighting and air quality. The chickens are raised with their comfort in mind, while making sure the end product—the meat—is healthy and contaminant free. There are many websites describing the regulations in place and the monitoring that goes on. It’s up to the consumer to do a little investigating of their own and learn what goes into the food that fuels the community. 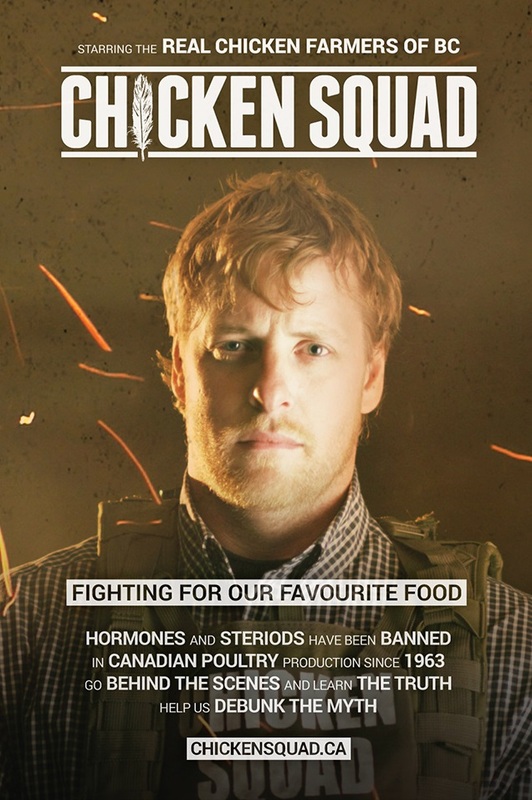 Some might assume that chicken sold in grocery stores has been raised with added hormones and steroids; when in fact, this practice has been illegal in Canada since the 1960s. Even the administration of antibiotics is only done when the chickens’ health is at risk; and farmers follow strict withdrawal periods to make sure the antibiotics have left the chickens’ systems before becoming part of the food chain. We wanted to do something to reach out to the average consumer, to show that farmers are cool and that we love what we do.